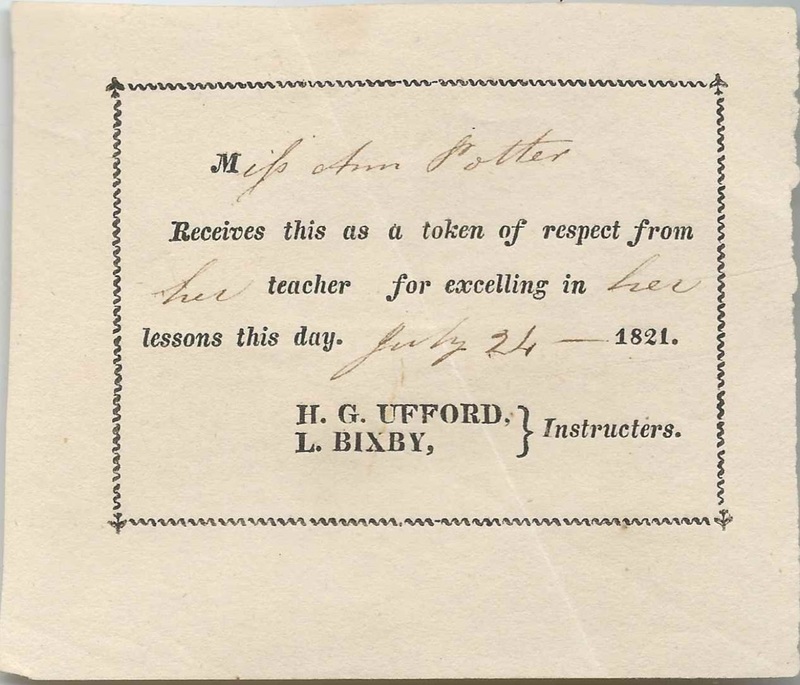 Token of respect, dated July 24, 1821, given to student Miss Ann Potter in New York City by her teachers H. G. Ufford and L. Bixby. 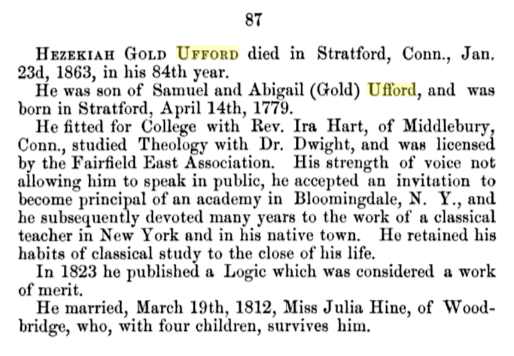 I believe these people were Ann Caroline Potter (1808-1882); Hezekiah Gold Ufford (1779-1863); and Lewis Bixby (1795-1866). As noted in the accompanying papers, Miss Ann Potter was Ann Caroline Potter, born in 1808 in New York City and future wife of New York City attorney Frederick Wait Burke, a native of Woodstock, Vermont. Ann died on August 23, 1882 at Brooklyn, New York; her death record indicates that her father was born in New Jersey and her mother on Long Island in New York. The Mary Potter living with the Burkes at the time of the 1850 and 1860s Censuses was presumably Ann's widowed mother. 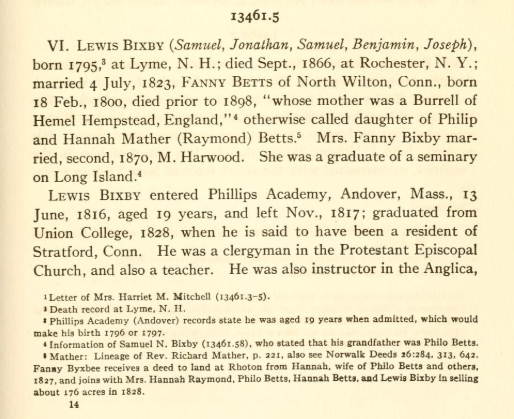 L. Bixby may have been Rev. Lewis Bixby, whose name appears with that of H. G. Ufford in a testimonial of the Story of Jack Halyard, the Sailor Boy. 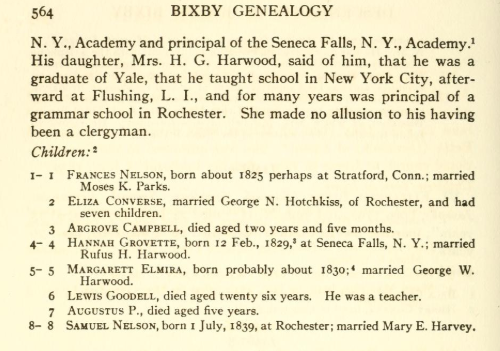 This Lewis Bixby was born in New Hampshire about 1795, graduated from Yale College and taught in several places in New York throughout his career. If you have information on Ann Caroline Potter, Hezekiah Gold Ufford and/or Lewis Bixby, please leave a comment or contact me directly.